Matthew Lenhart plays one of the two cops that investigate the break-in during episode seven of season six, titled No More Drama. 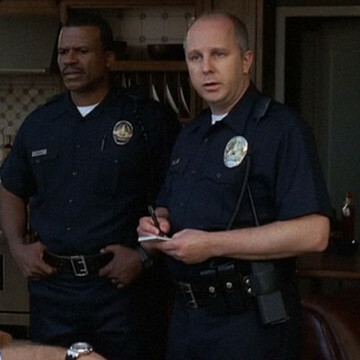 He portrays the cop standing on the right and does so at the four-minute mark. Matthew plays small parts in episodes of The Office, Parenthood, and The Event, and served as an editor on FOX’s short-lived game show series The Moment of Truth.